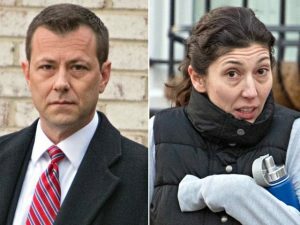 New text messages between ex-FBI employees Peter Strzok and Lisa Page reveal others were “leaking like mad” in the run-up to the Trump-Russia collusion probe, according to new communications between the former lovers obtained exclusively by Fox News. A lengthy exchange dated Dec. 15, 2016 appears to reveal a potential leak operation for “political” purposes. “Oh, remind me to tell you tomorrow about the times doing a story about the rnc hacks,” Page texted Strzok. “And more than they already did? I told you Quinn told me they pulling out all the stops on some story…” Strzok replied.